The most important conversation you'll have. Why do so many of our conversations with one another lead to misunderstanding and hurt feelings? Brady Boyd turns to the example of Jesus Christ to show that the health of our conversations can be only as vibrant as the health of our interactions with God. Written by a self-proclaimed former "gunslinger" of painful words, Speak Life will help you speak words not of recklessness, but of restoration to God, yourself, and those you love. 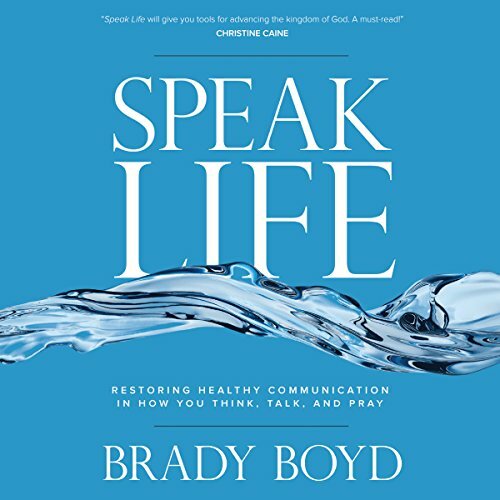 Speak Life by Brady Boyd is an easy to read and Biblically based book. The illustrations from Mr. Boyd's personal life were helpful. End of chapter questions for contemplation were helpful. I'll definitely be looking for other Brady Boyd books.